The dice game known as 5,000 is a shorter version of the 10,000 variety. The rules and strategy are virtually the same. When this game became popular, it was marketed under the name "Farkle." It is also similar to Yahtzee. Use six dice to make number combinations. When you roll the dice, you will need to decide what to keep to the side. The scoring numbers determines what you keep (scoring chart is in Step 6). The remaining dice is thrown. Your turn continues until you decide to pass and count your score. If you do not score on one of your rolls, you must give up your turn and cannot score any points. Roll one die. This is to determine who goes first. The one with highest roll starts the game. Then the circle moves counter-clockwise. Pick up the 6 dice. You must roll all the dice to make a score. 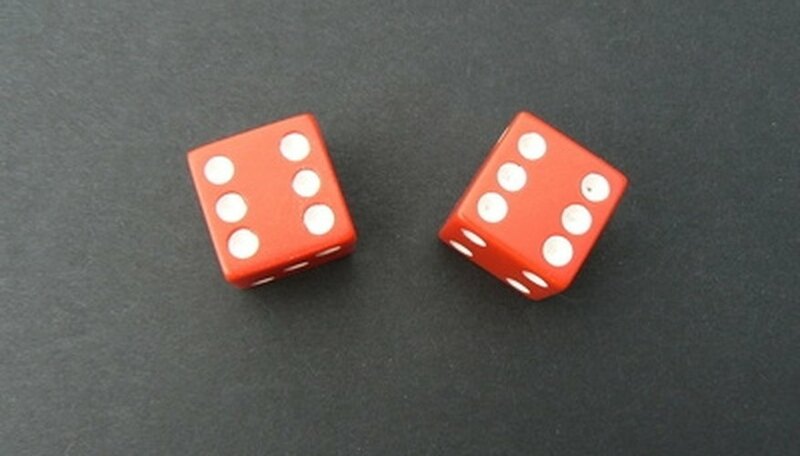 If you roll: 1-4-3-5-2-2, you can keep the 1 to the side and roll the remaining 5 dice. Pass your turn. If you decide to stop your game play, you score the 1 as 100 points and pass your dice to the next player. Continue your game play. If you decide to continue and do not make a score, you lose all points that you put to the side and must give up your turn. When you choose to keep playing, you will be able to until you cannot score on a roll. For example, if you play all 6 dice and score every roll, you may keep going and play with all six dice again. You must remember your score until your turn is completed. If you do not, you lose all points that you have accumulated. If you do not score on one of your rolls, you also lose all of the points that you have put to the side. Write down your points after every turn. Keep a tally of each player’s score on a piece of paper. With the 5,000 dice game, the first person to reach 5,000 points wins. In scoring, the x100 multiplier only applies if you get three of the same numbers in one roll. Remember, that you lose all points in your turn if you fail to score on a dice roll. The 5,000 dice game is a combination of strategy and luck. Randall Shatto is a professional writer with 10 years of experience. Shatto maintains a focus in internet freelance ghost writing. His expertise includes medical writing, college paper composition and SEO-rich content writing. With only a high school education, Shatto's opportunities continue to grow. Shatto resides in the beautiful state of Oregon.